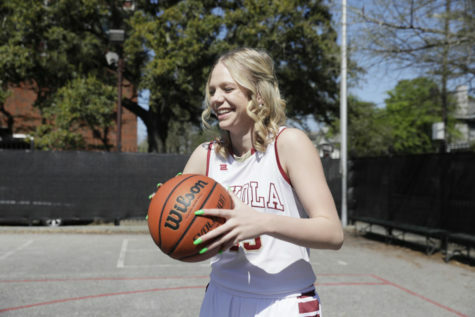 Nothing was going right for Emmanuel College. They couldn’t make a shot, couldn’t contain Loyola’s offense and to make matters worse, couldn’t defend without getting called for a personal foul. Emmanuel’s head coach T.J. Rosene had enough. He voiced his frustrations aloud. 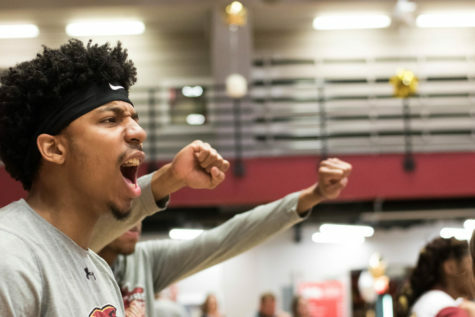 “Black, when the ball bounces off the rim, just flail your arms in the air or fall on the ground or something, you’ll probably get a call,” he yelled. Officials issued Rosene a technical foul for his comments. That’s when the game changed. 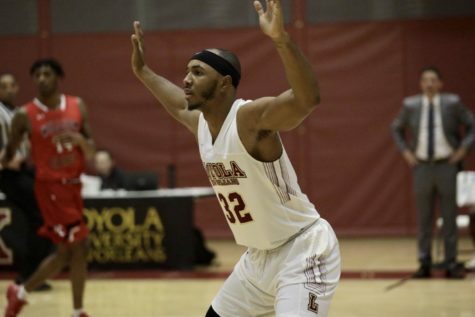 The technical foul sparked a 33-9 Emmanuel run to erase Loyola’s fourteen-point second half lead, propelling the Lions to a 65-55 victory Saturday. Cameron Cates led all scorers with 17 points for the Wolfpack (6-4) while Graham Maxwell scored 12 points to lead Emmanuel (6-4),two of which sealed the comeback for the lions at the 54 second mark. 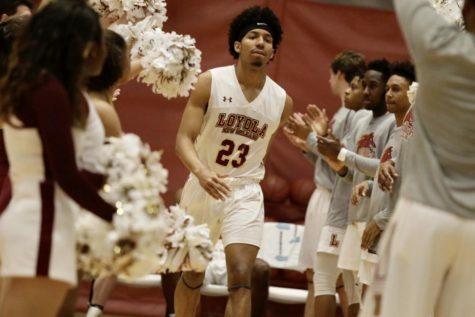 This was the fourth time this season Loyola squandered a halftime lead to lose the game, (the others against Truett-McConell, Southern and Shorter College) and marked the third time it happened against a Southern States Athletic Conference opponent. 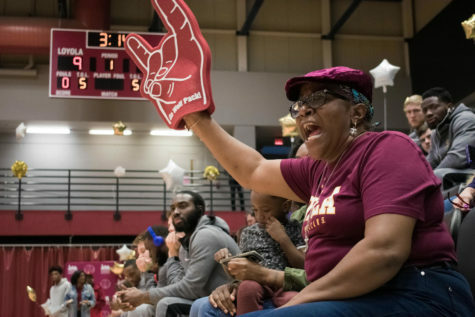 Tomeny said the series of scoring droughts the Wolfpack endured during two of Emmanuel’s runs shifted the momentum in the Lions’ favor and hurt Loyola’s chances of withstanding the push. “The more they scored, the more their bench got fired up and upped their intensity. We didn’t execute the plays down the stretch,” he said. 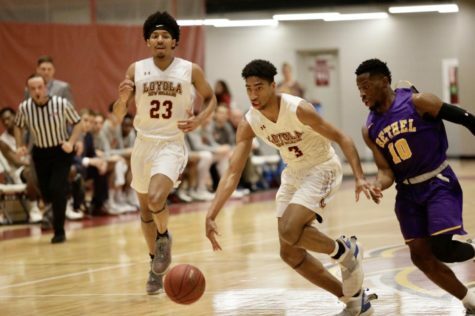 Loyola’s offensive struggles occurred at the most opportune time for Emmanuel. At the start of the second half, the Wolfpack continued their scoring trading buckets with Emmanuel. It appeared they would cruise the rest of the way to a second conference victory. But after the technical foul, Emmanuel found their shooting touch and Loyola seemed to lose theirs. 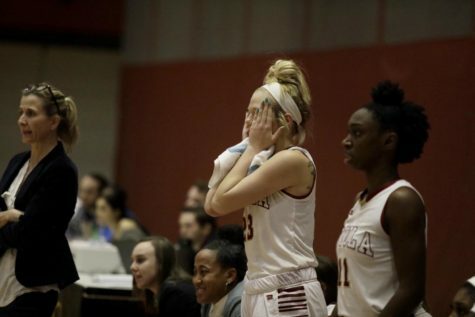 The Lions converted four straight three-pointers to tie the game 48-48 while Loyola watched. Tomeny’s layup with just over six minutes left in the game ended a five and a half minute Wolfpack scoring drought. 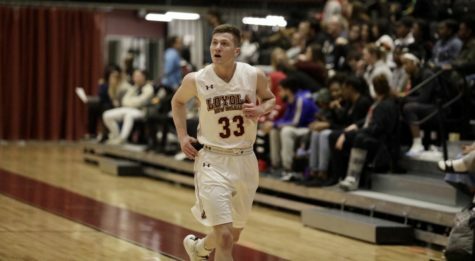 By that point, their lead dissipated and Loyola trailed Emmanuel by three possessions. 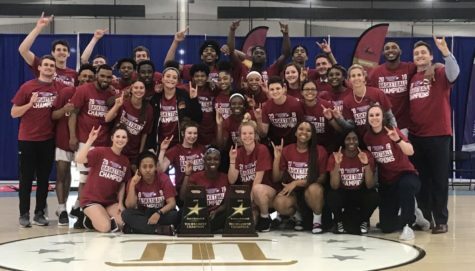 “For two-thirds of the game we played hard, played smart, had a double digit lead and then Emmanuel had three transition baskets along with three three-pointers and it’s game on,” Giorlando said. 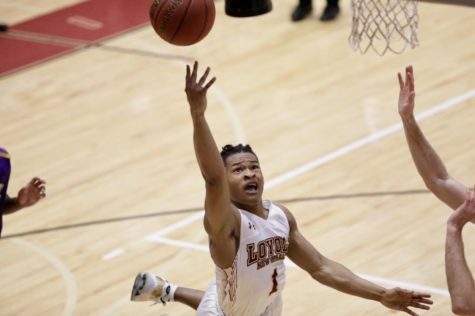 Emmanuel’s Andre Holder capitalized on a Loyola turnover, scoring on a transition field goal to extend the lead to 61-55. Loyola jacked up several shots in desperation, but would not make a field goal the remainder of the game.